Walking a tightrope between song, improvisation and sound-as-sound, Monkey Puzzle Trio is an ongoing project which features drummer Charles Hayward [This Heat, About Group, Massacre], bassist Nick Doyne-Ditmas [Pinski Zoo, Crackle] and the words, voice and textures of singer and sound artist Viv Corringham. 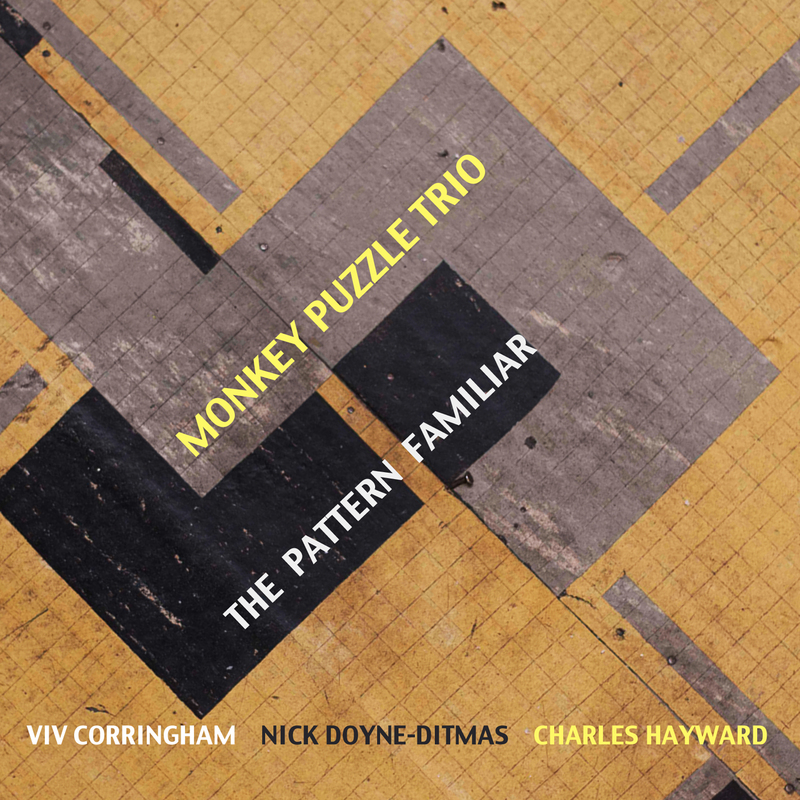 Their music is driven by the restless energy, invention and power of Hayward’s drumming underpinned by the languid and exploratory double bass playing of Doyne-Ditmas, to which Corringham adds, with the aid of a loop pedal, her unique collage of words and sound. Together they create a distinctive sound world, both exhilarating and immersive, which relies on the sensitivity and experience of all three musicians. All three musicians are obsessed with song as an ideal, and are adept and fast thinking improvisers. The Pattern Familiar is the second album from Monkey Puzzle Trio and sees them expanding on the blueprint laid down on their acclaimed debut 'White World' . Harvested from three days of improvisation, the only watchwords were ‘aim towards song’ and ‘leave space for the brass section’. Shaped by Corringham’s lyrics, what unfolds is an abstract narrative about separation, loss and acceptance, a vibrant and energised song cycle that proffers a stark and resonant refusal of despair and the absurd. In spite of the subject matter, this is not a depressing music. JUST SAY YES. The music is an act of rebellion. Brass overdubs, orchestrated by Hayward and Doyne-Ditmas (and performed by Nick aided by Tom Marriott, Rob Mills & Tom Scott), are tightly conceived and highly organised, complementing, while contradicting, the spontaneous funk and sound art of the original improvisations, which have been savagely edited to further endorse the shapes and outlines of song. The cover photographs by Lewis Hayward capture left over traces of 1950’s design, somewhere between electronic circuitry and atomic structure, dilapidated DIY superimposed on careworn Edwardian architecture, adding further resonance to the overall poetry of this startling and serious work.